I always like cooking eggs. 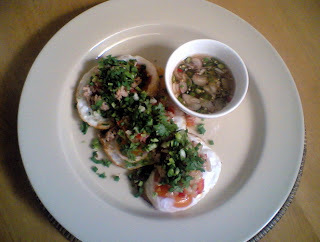 This recipe is my favourite dish when I was in “high school” – I was in the top 10 best schools in Bangkok (in Thailand) and I am always proud of it. At my school’s canteen – there were loads of food (Japanese, Fast Food, Thai and Noodles) I always liked to order “Kai Dao Song Krueng” almost everyday or at least 3 times a week for 6 years when I was in there. At times, I like to cook it at home as it reminds me of my old time with mates at school – happy days I had. Not sure which school you went to. I went to St. Joseph's Convent at Silom Road. I still remembered during primary school years, the cafeteria cook would fry the hot dogs and add some spicy, sweet, lemony sauce on top (not "yum" style though). It was delicious. 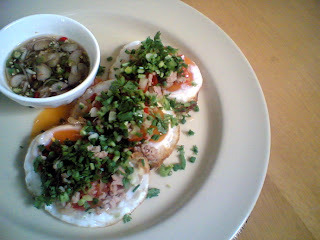 fried eggs are one of my favorite things ever and this super savory take on it sounds so delicious!i will have to try it very soon. thanks for the recipe!